After much deliberation, The Campanil staff has made the decision to remove the anonymous letter published earlier this evening. To make it clear, the anonymous letter does not reflect the opinions of the publication nor of its staff. However, we would like to thank the community for calling us out when necessary. We apologize for publishing the anonymous letter as well as using the ITooAmMillsCollege hashtag, which was appropriative of the Black students’ movement, so we will cease using it with future posts on our social media pages. The reason why we initially decided to publish the letter was because our publication’s responsibility is to share a range of voices. The fact that it was posted anonymously was a source of contention among many of our staff members but we eventually decided that we did not want to silence an opinion. We also thought it was important at the time to publish the post because it was authored by a Student of Color who offered a different perspective. However, as pointed out by someone on our Facebook page, a large focus of the town hall meeting, the Black students’ protest and our coverage happened because an anonymous, racist and life-threatening comment was initially posted on the Mills Confessions page. Our staff now all agrees that writing anonymously does not guarantee the same First Amendment rights as for those who do not write anonymously. We want to remind our readers that anyone can contribute to our publication and we encourage it. 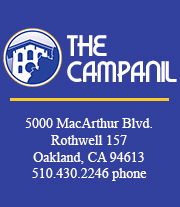 Please email submissions (written, illustrated, multimedia) to eic@thecampanil.com. While we usually do not publish anonymous submissions, we chose to in this instance because the student did not feel safe speaking up. While we will still be showcasing multiple perspectives in this upcoming issue, we have decided to no longer accept anonymous posts. We will also be in the newsroom tomorrow, Friday, March 6 at Rothwell 157 from 11 a.m. until 4 p.m. We welcome the Mills Community to stop by and talk to us in person about their concerns with our coverage. We are also still working on our coverage of the ongoing protest so please come contribute your voice. We want to be open as much as possible with our readers and we too want to work through institutional racism and prejudice.